Start your physical therapy career path on the right foot with Introduction to Physical Therapy, 5th Edition. This comprehensive text offers an insightful and thorough overview of both the profession and the practice of physical therapy, including the latest topics and trends surrounding the industry. 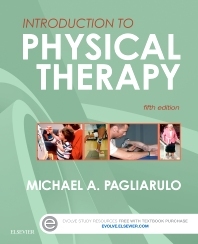 The first section walks readers through the key aspects of a career in physical therapy, including: roles of the physical therapist and physical therapist assistant, practice settings, the APTA, and laws, policies, and regulations. The second section then goes on to cover the practice of physical therapy: detailing the functions, disorders, and therapies of the major organ systems. Featuring a new full-color design, this new fifth edition incorporates a wealth of updated content, new photos, and numerous learning aides — such as chapter outlines, learning objectives, questions to ask, suggested readings, and review questions — to give readers the complete foundation they need to successfully grow their professional knowledge and skills. An overview of the profession combined with clinical information guides the reader through everything they need to know to begin their physical therapy education. Chapter on reimbursement tells how reimbursement affects the profession and introduces the fiscal aspects of health care and reimbursement for physical therapy services. Chapter on communication and cultural competence describes how cultural differences influence patient interaction and helps the PTA and PT understand behavior due to cultural differences. Numerous learning aides such as — chapter outlines, key terms, learning objectives, questions to ask, boxes, tables, summaries and up to date references, suggested readings and review questions — enable learning retention. The latest information on current trends in health care and the profession of physical therapy keeps readers current on the latest issues.